Misa. . HD Wallpaper and background images in the death note club tagged: death note misa. I think Misa is gr8 but I think REM is the best 4 she did give up her own life 4 Misa and this is wonderful!!!!! 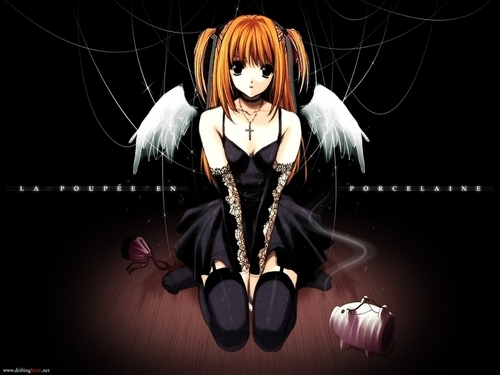 Misa sure is a angelike devil, one thing have we learned about Death Note ppl. do not trust cute girls with a Death Note.